By now, many of you will have heard about Heavy Scotland, who will be hosting Arch Enemy, Behemoth, and many more next April first and second. However, they have other plans to get on with before then, namely their Metal Is Not Dead battle of the bands, working in conjunction with Myrockout Promotions, and with the support of Heavier Than Metal radio and purveyors of delicious real ales Black Metal Brewery. Eight of Scotland’s underground finest will thrash it out for the chance to play the Heavy Scotland fest over two heats and one final, each featuring a guest headliner and after-show party with Keep It Steel at Studio 24. 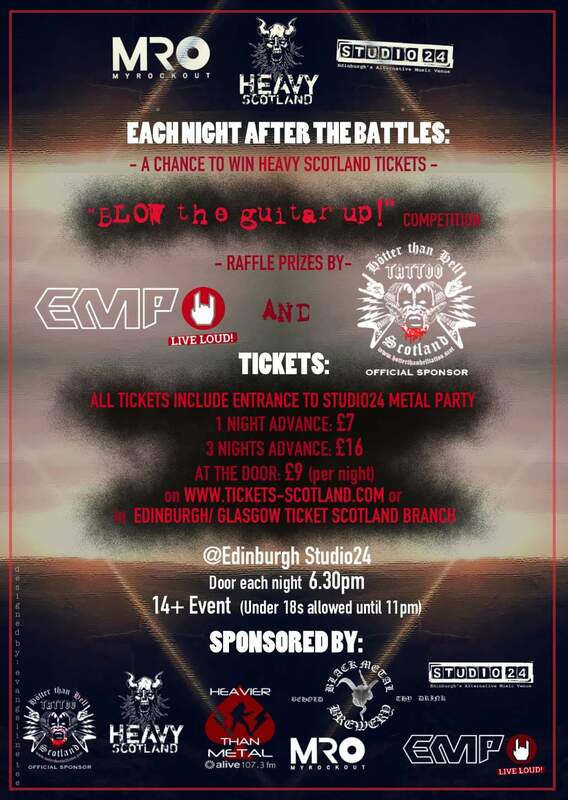 You could also win tickets to the main Heavy Scotland event by taking part in a ‘blow up air guitar’ competition, or walk away with raffle prizes from Hotter Than Hell Tattoo and EMP UK. 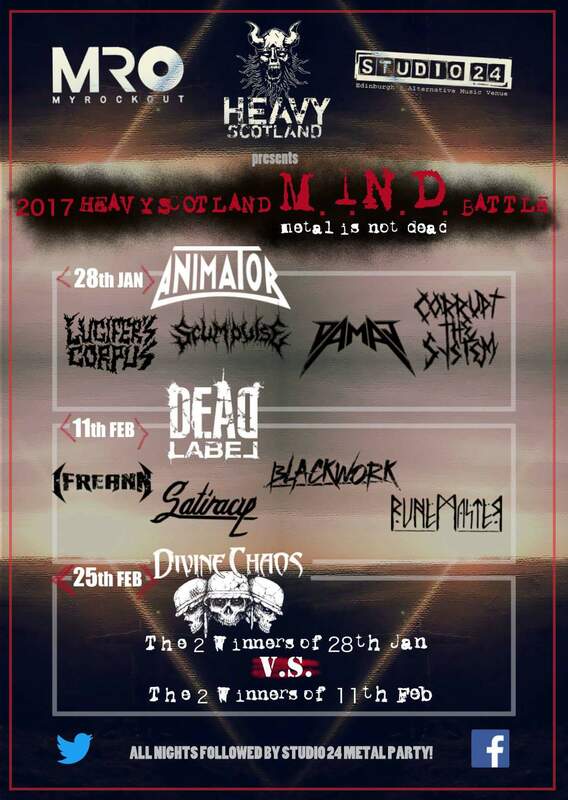 Finals: February 28th – Divine Chaos (guest headliner) and two winners from each heat. Posted in Latest News and tagged Animator, Arch Enemy, Behemoth, Dead Label, Divine Chaos, Heavy Scotland, Metal Is Not Dead, Myrockout, Studio 24.